NAWIC is an Australian Not-For-Profit organisation formed in 1995 whose vision is for an equitable industry where women can fully participate to reach their full potential. The Association is headed by a Board of volunteer Directors who steer the strategic vision and advocacy for women. NAWIC is represented in the states and territories by Chapters who offer members an opportunity to expand personal and business networks, maintain awareness of industry developments, improve skills and knowledge, and make a contribution to other women in the construction industry. The Chapters run programs and coordinate events that women can be involved in at a number of different levels, from social interaction, networking to professional development. This includes education programs into schools, mentoring, leadership opportunities and awards programs. All the Chapters have strong links with their state government representatives, industry associations, technical colleges and academic institutions. Through regular events and programs, the Chapters keep the momentum and conversation active of the importance of creating and sustaining opportunities for women in the industry. 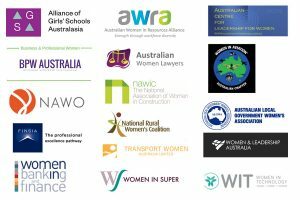 At the National level the Board is working to advocate for women’s participation through direct approach with the Australian Government and partnering with other organisations who have similar vision.